PAUL LABRECQUE (SUNBURNED HAND OF THE MAN) and GHAZI BARAKAT (PHAROAH CHROMIUM) present two epic cosmic, dystopian tracks where guitars, synths and traditional instruments blend into an anarchic sound system. After excessive years in rock bands like THE GOLDEN SHOWERS or his solo project BOY FROM BRAZIL, time had come for the German-Palestinian artist GHAZI BARAKAT to develop a new aesthetic – the birth of his alias PHAROAH CHROMIUM where BARAKAT creates “meta-music for meta-people in a meta-world”, or in other words: a mutoid blend of post-krautrock, psychedelism, free jazz, ancient rituals, science fiction and electronics. So far the Berlin based sonic performer released a couple of solo albums on labels like GRAUTAG or TAPEWORM and a triple LP with krautrock legend GÜNTER SCHICKERT. For his latest output he decided to simply use his civilian name BARAKAT, as does PAUL LaBRECQUE (SUNBURNED HAND OF THE MAN) who contributes guitar and synthesizer to the two side-long tracks. 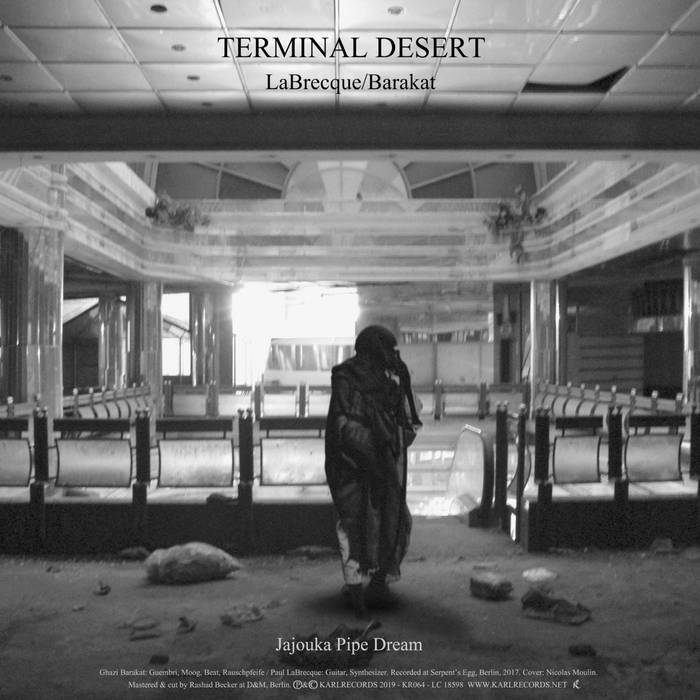 “Jajouka Pipe Dream” is a clear reference to the MASTER MUSICIANS OF JAJOUKA, with lots of flutes and percussion, a very rhythmical, ritualistic track, while “Planet R-101” turns out a spacey trip with elements of krautrock and Kosmische Musik / Berliner Schule. What may sound contradictionary on paper functions perfectly on LP – freeform / free-floating music, absorbing and integrating a wide range of influences and inspirations, sounds and styles – and highly psychedelic! On his 3rd album for KARL, painter, musician, photographer and video artist HANS CASTRUP continues his explorations of analogue and digital sound sources, creating a dystopian soundtrack that melts dark ambience with electro-acoustic means. 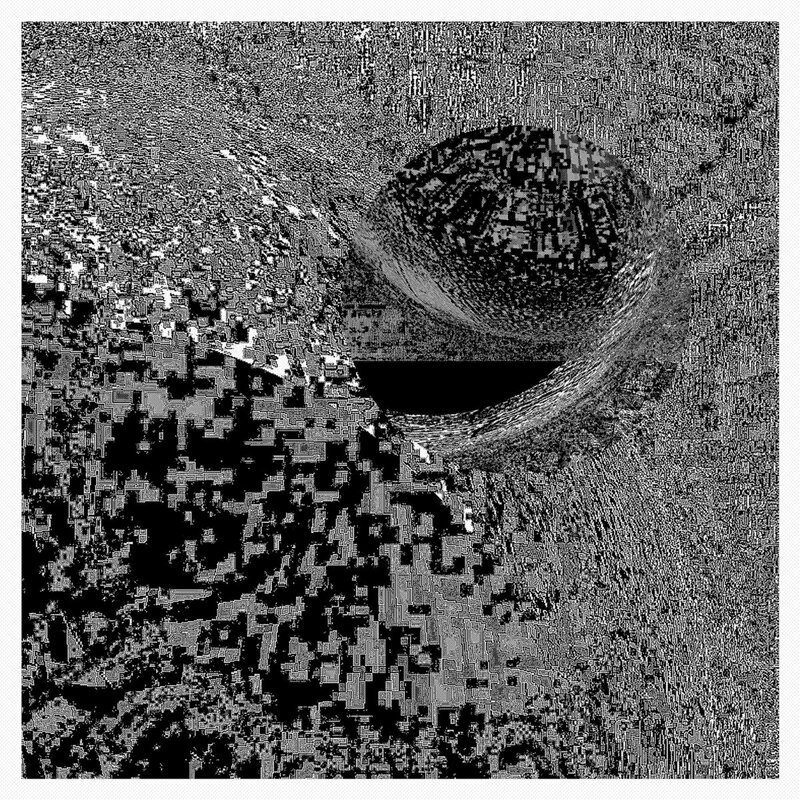 After “Shadowplay” (2013) and “Lizenzfreie Restwärme” (2016), “Heterogeneous Cell Information” is the 3rd album (and first LP) by HANS CASTRUP on Karl. CASTRUP, born in 1957 and working as independent artist on the fields of painting, music, photography, video, graphics and text since graduating as MA at the University of Osnabrück, sticks with his working method of multi-layer compositions: various analogue and digital sound sources such as synthesizers, field recordings or tapes are being edited, manipulated and re-organized as abstract-reduced compositions meandering between melodiousness and experimental collages whose reference system ranges from new music and avantgarde to today’s electronics. But a simple, formulaic repetition of approved means wouldn’t satisfy CASTRUP’s artist soul, and so he invited CARLA WORGULL to contribute overtone singing and other advanced ways of vocalization which intensify the overall alien atmosphere of the eight compositions. “Heterogeneous Cell Information” is available as download and an ultra-limited edition of 100 handnumbered items (clear transparent vinyl, silk-screened sleeve).